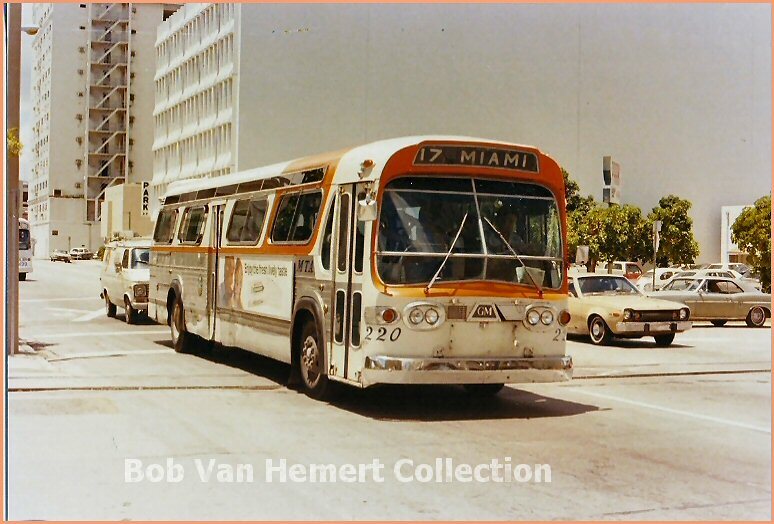 The 200 series fishbowls were a small order of just thirty buses numbered 201-230. 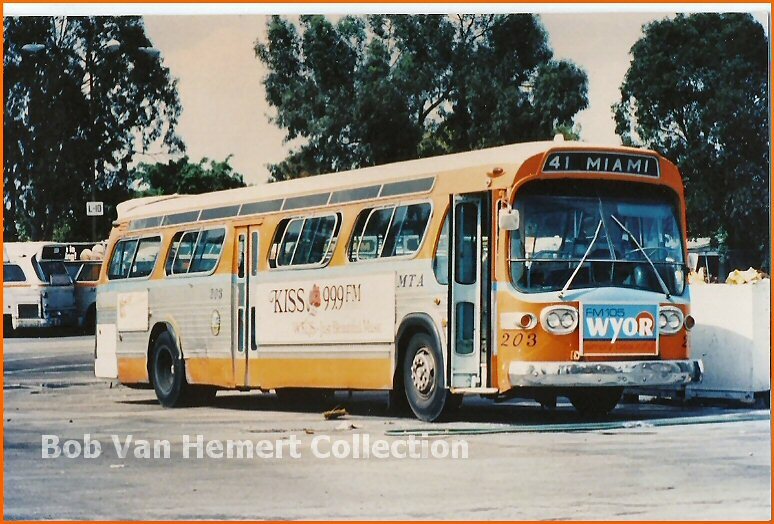 They were 40 footers and came with the Detroit Diesel 6V71 V6 engine and an Allison VH9 two speed automatic transmission. The last of the series, number 212 was retired in late 1984 after a twenty year service span. 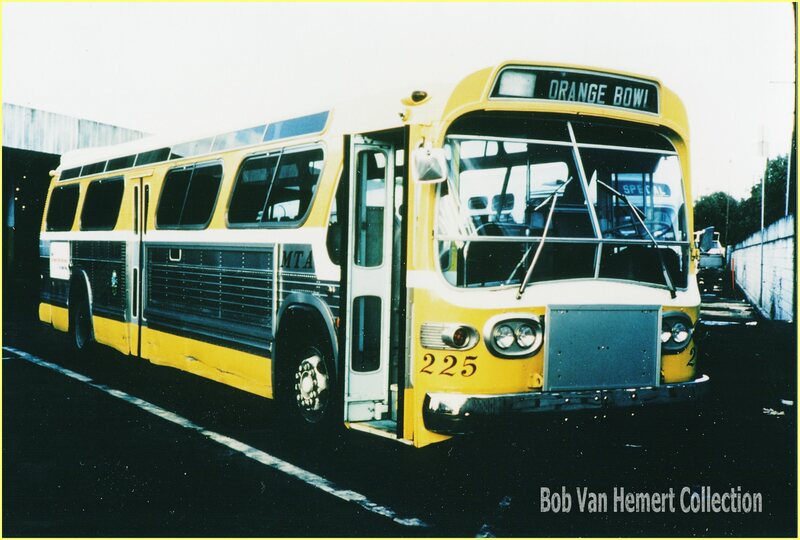 Bus 225 sporting the downtowner livery at Central yard. Bus 220 on the route 17 coming from Dinner Key and 224 on the Downtowner shuttle. 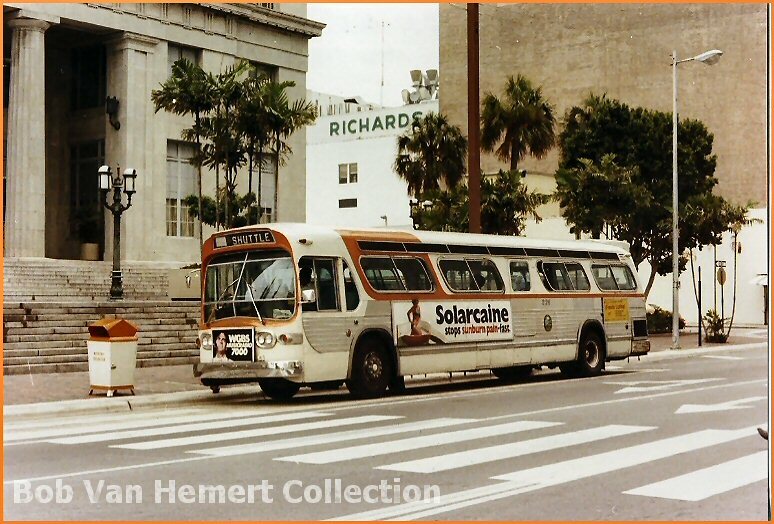 Bus 230 sitting at Central near its retirement. 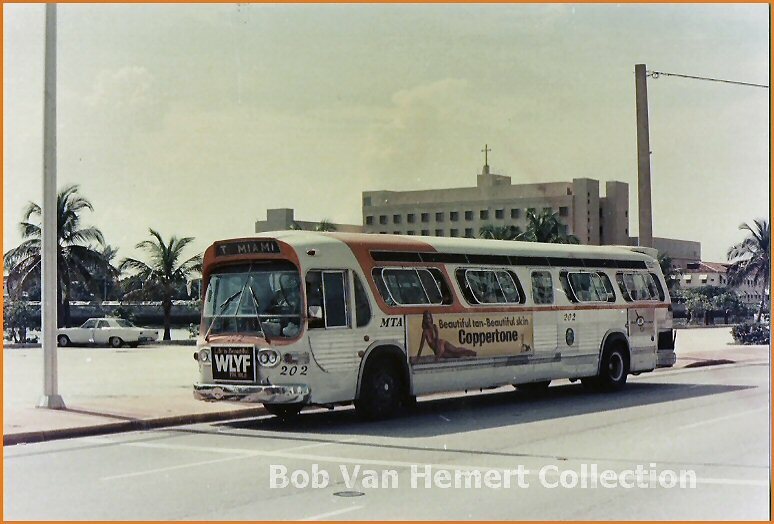 Earlier picture of 230 on the Downtowner Shuttle.